University of Toledo professor of piano, Dr. Michael Boyd was invited to co-direct and perform on the Beethoven Tour 2012, which included visits to Austria, Czech Republic, Belgium and Germany. The summer tour featured concerts, lectures and rare excursions to places of significance in the life of Ludwig van Beethoven, including his birthplace in Bonn and Vienna, where he spent most of his life and career. The tour has been an annual event for 14 years. Normally, it is organized by William Wellborn, a pianist who teaches piano at the San Francisco Conservatory of Music, and Adam Wibrowski of the Conservatory of Paris. Due to illness, Wellborn was unable to serve as director or to perform, so he asked Dr. Boyd. “I also performed and presented a lecture at the Musical Instruments Museum in Brussels. My program and the lecture were on two Beethoven piano sonatas. It was really a great experience to play in a setting with so much historical importance.” The museum (also known as “the MIM”) is famous for its collection of instruments from many periods of musical history, including the period in which Beethoven lived. Dr. Boyd performed the Piano Sonata Op. 31, No. 3 in E flat major and Op. 57 (the appassionato) in F minor. The concert and lecture was open to the public and was attended by more than 200 people from the area and around the world. Dan Hernandez, one of the University of Toledo Department of Art’s newest faculty members has work in an exhibition currently on display in London, England in the Shizaru Gallery. Hernandez’s work will be in excellent company among works from Andy Warhol, Cindy Sherman, and Ed Ruscha. In September, Hernandez held his first solo show, “Genesis,” at the Kim Foster Gallery in New York. “Genesis” refers to the artist’s visual dialogue between religion, mythology, and pop culture. The word “genesis” can refer to the literal definition, the Bible text of the same name as well as the video game system, Sega Genesis. Notions of all three as well as other ideas are incorporated into his work in this exhibit. 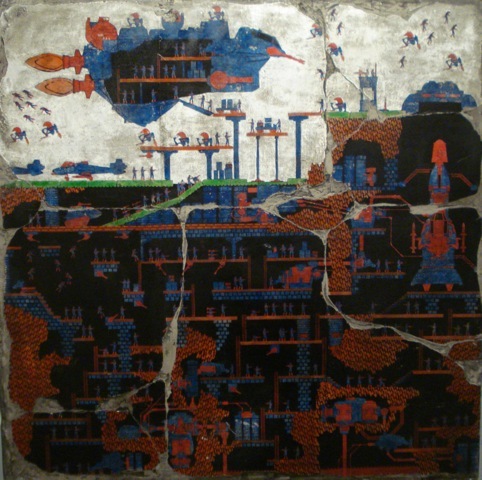 Hernandez’s work is often referred to as “high pastiche.” He combines a variety of disparate elements in his work but does so expertly, in a unique way that is artistically sensate. Beth Rudin DeWoody, one of Forbes top 200 art collectors in the world, attended his show and bought two of his multi-media works, “Colecotari Invasion” and “Destruction of Atega Intelari.” DeWoody is also the curator for the London exhibit “Bad for You,” and chose another of Hernandez’s works—“Wall Fragment with Flying Transport”—for the show. 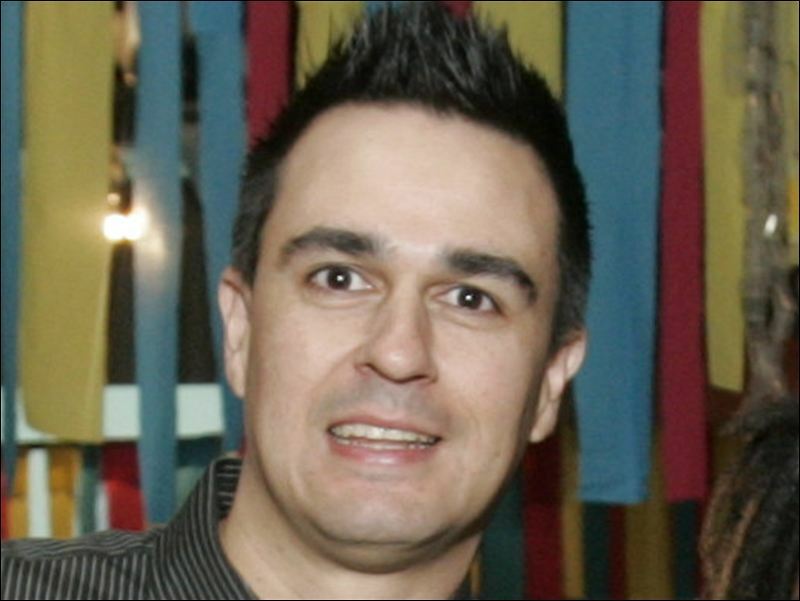 Hernandez, UT Assistant Professor of Inter-Disciplinary Art/Foundations, received a Bachelor of Fine Arts in 2000 from Northwest Missouri State (Maryville, MO) and a Masters of Fine Arts in 2002 from American University (Washington, DC). He is currently represented by Kim Foster Gallery in New York City. His work has also been presented in numerous galleries including solo shows at Kim Foster Gallery (New York City, NY) Madhouse Gallery (Toledo, OH), the Fine Arts Gallery at Mott Community College (Flint, MI) and Kresge Gallery at Lyon College (Batesville, AK), and group exhibitions at the Toledo Museum of Art (Toledo, OH), Desotorow Gallery (Savannah, GA), Gallery Project (Ann Arbor, MI), Hype Gallery (Milan, Italy), Strohl Art Center (Chautauqua, NY), and many others. Dan was selected for an Ohio Arts Council Individual Excellency Award in 2011. UT Music alumna, Aura Strohschein (Master of Music) will be presenting a paper at the upcoming Music Teachers National Association (MTNA) Collegiate Chapters Piano Pedagogy Symposium in Cincinnati http://pianosymposium.com/ She is also working on a book, “Creative Pedagogy for Piano Teachers: Musical Games and Aural Pedagogical Techniques as a Dynamic Supplement for Teaching Piano,” which she co-authored with Jeff Agrell, UI horn professor. Aura graduated from Ball State University in Muncie, IN with a Bachelor of Music in piano performance and a Bachelor of Arts in French with university honors. She studied piano at the Conservatoire National de Region de Lille in France for three years under the direction of Bernard Lerouge. She obtained her Master of Music degree from the University of Toledo, studying piano with Dr. Michael Boyd. She is currently pursuing doctoral studies at the University of Iowa under the instruction of Dr. Rene Lecuona. 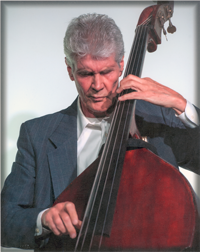 Jazz bassist, Gene Perla will join the UT faculty jazz ensemble, CrossCurrents on stage in the UT Center for Performing Arts Recital Hall, tonight, Tuesday October 16 at 8 p.m. Perla also performed to a packed house with the group at its Monday UTJazz Night at Crystal’s Lounge last night. Perla, a UT alumnus, has also been on campus working with students, teaching and sharing his knowledge. GENE PERLA grew up in northeastern New Jersey attending public school grades 1-12. After one year of postgraduate study at New York Military academy he entered the University of Toledo majoring in civil engineering and business. He then attended Berklee School of Music and Boston Conservatory before heading to New York City. At age five Gene’s musical studies began with Classical piano. Upon entering high school he was given a trombone, which he played for five years culminating in marching on Fifth Avenue in New York City as part of the Memorial Day Parade. During high school he became aware of Jazz and was thrilled to attend the first New York performance of Ted Heath?s Big Band at Carnegie Hall. It wasn’t until his last year at UT that his interest in music became primary. After struggling with too many notes, and thanks to Charlie Haden?s performance on Ornette Coleman’s The Shape of Jazz to Come, Perla, at 24, switched to bass as his main instrument. Not long after arriving in the City his talents became in demand and he found joy in performing with artists such as Willie Bobo, Carlos “Patato” Valdes, Nina Simone, Woody Herman, Sarah Vaughan, Elvin Jones, Thad/Mel Lewis, Sonny Rollins, Miles Davis, and Frank Sinatra. As an educator Mr. Perla has taught as William Paterson University, New School University, Center for the Media Arts and is currently at Lehigh University. Sound design has been a significant endeavor yielding credits on Broadway shows, them parks and custom installations. festival in Manhattan’s community garden El Jardin del Paraiso. Playwrights from across the U.S. devised 10-minute plays dealing with the struggles and rights of immigrants trying to live in America, and some were selected to be performed at the festival. There were also teach-ins and speeches from various activists and organizations focused on immigrant rights to combine arts and activism in one event. I directed “Outward Signs of Isolation” by Morgan Mansour. This piece is about a family of Middle Eastern and European descent, who were all inevitably isolated as a result of trying to overcome identity confusion, language barriers and cultural differences. After moving three times in ten years and trying different ways of living, the mother and father became conflicted between their past, present and future. They were unsure as to what set of traditions and values they were supposed to follow, especially as they lived America. The play takes place in the daughter’s classroom at a parent teacher conference. UT Theatre student, Starr Chellsea Cutino was the private school teacher Mrs. Kibbs, presented as a robotic, politically correct, judge-like figure. The sarcastic, frustrated father, Ahmed, was played by Phillipe Taylor and Ani Copti was Adele, the mother: a hopeful, yet confused, easily assimilable woman. Their 10-year-old daughter, Ayesha, is never physically present onstage, however it is made known at the end that she had been sitting outside in the rain the whole time. Considering that this play was my first directing experience outside of academia, and in New York, I grabbed that 12-page text and ran as far as I could with it. Through research and discussion, we collaboratively found more layers to this play than perhaps even the playwright was aware of. This is probably because in our first rehearsals we dove into the play with Gabara-esque (Cornel Gabara, that is) detail by dissecting the text word-by-word, then line-by-line. After understanding the purpose and motivation of each character through the words they are, and are not saying, we proceeded to use Linklater exercises from our Voice and Movement class to bring that mental understanding into the body. The actors really invested themselves in these characters and worked really hard, which definitely showed in their performance. We were one of two groups from Toledo to be involved in this event. UT alumna Jeanette Turner directed a piece about European immigrants living in Staten Island, starring herself and alumni Jason Santel, Ernest Green and Tyria Allen. Their performance was energetic, funny and thoroughly thought provoking. To say the least, each of the performances and the experience in general was amazing and truly inspiring. The organizers and performers were so welcoming and talented, while the audience members were attentive and responsive. The play aside, traveling and staying in New York was surprisingly inexpensive, and if you know me, you know that’s a must. There were five of us on the trip, making gas and the hotel pretty reasonable. We fortunately managed to get a great deal on the hotel we stayed in, which was right in the financial district—a couple blocks away from Ground Zero, and where Occupy Wall Street kicked off. Our first night in town, we stopped in O’Hara’s Pub to grab a drink. We ended up hanging out with some of the wonderful first responders of 9/11, and were invited to see the firehouse the next day. Thanks to our waiter from that night, who also happened to be a filmmaker, we went to a rooftop party for Fashion Week—severely underdressed. We strolled through China Town, had lunch on the Hudson, hit some fabulous bars, ate great food and learned why you better check your e-mail, baby. This opportunity really made me realize how getting to, and working and hanging out in New York doesn’t have to be a dream anymore. More than anything I have ever done, this was the most invigorating and life-affirming experience I have ever been a part of—I wouldn’t trade it for anything and I can’t wait for round two! When the University of Toledo Department of Theatre and Film season opens on Friday, October 12 with Jean Cocteau’s darkly comic play “Orpheus,” it will do so in surprisingly brilliant color. Director Jessica Bonenfant and costume designer Erica Frank have chosen to use a Dia de los Muertos (Day-of-the-Dead) aesthetic to represent the invitation of the dead into the world of the living. “Orpheus” is Cocteau’s surrealist reworking of the classical myth. 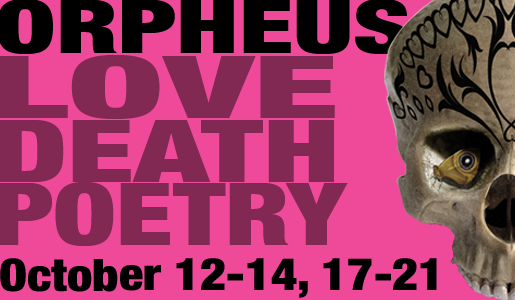 Orpheus, a poet, makes an impossible deal with Death to rescue his love, Eurydice, from the underworld: he promises never to look upon her again. A mirror serves as portal between life and death, and movement between the realms is characterized by distinct shifts in color, costume and atmosphere. Cocteau also explores contact with the spirit-world by adding a table rapping horse to the mix. Both Bonenfant and Frank were intrigued by Frida Kahlo de Rivera, known for her self-portraits and her colorful clothing. Her style as well as traditional Day–of-the-Dead celebrations have served as a kind of muse for the costume design. Flowers, elaborate grave decorations, lavish costumes, food and festivities traditionally mark the Mexican Day of the Dead, similar to All Souls Day, which remembers loved ones who died during the year. In the play, Death – a young woman adorned with pink flowers, ribbons and paint, visits the living world. “The costuming, skeletons and funeral flowers associated with Day of the Dead are the perfect way for her to fit into and hide out in our world while also being very ethereal,” says Frank. Jessica Bonenfant has been the Creative Director of Brooklyn based Lola Lola Dance Theatre since 2003. Her work, a blend of movement, text and striking imagery, has been seen across the U.S. in a variety of traditional and site-specific spaces, as well as on film. She has created five-evening length works for her company, and is currently developing the sixth, a performance-as-research project presented in installments at Brooklyn’s Micro Museum, ShapeShifter Lab, and the Itinerant Performance Art Festival at Grace Exhibition Space. This past spring, the project received a stipend and space grant from the National Endowment for the Arts via Chashama’s Windows program, which supported a five-day storefront performance installation in New York City’sGarment District. This year, Jessica has also choreographed a music video and stage show for singer Charlene Kaye, and her band The Brilliant Eyes. 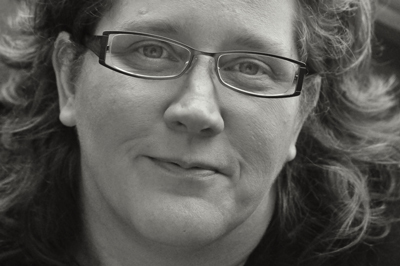 Erica Frank is a costume designer of theatre, film, TV and music videos. She most recently was the designer on the feature film The Firstling, and assistant designer on the 20th Century film The Watch. Additionally she was specialty costume crafter for Revolution, a new feature television series on NBC, which opens September 2012, and was the Tailor/Set Costumer on the 2011 feature film, The Hunger Games. After completing her BFA at Parsons, she opened a designer shop in New York. She soon found much of her work was gravitating from fashion design to theatre design and specialty craft services for Manhattan’s theatre industry. She has spent the last six years in Los Angeles working in the theatre, film, and television industry. Her unique craft skills, fantasy designs, and familiarity with east and west coast markets makes her an asset to our theatre, film and video production program. She also has an MFA in costume design with California Institute of the Arts. TICKETS Play tickets are $12–General Public, $10–Faculty, Staff, Alumni & Seniors, and $7–Students. DISCOUNTS Student members of fraternities or sororities, who wear their letters or show their membership card at the box office, can get a “Go Greek” discount of $2 off their ticket. Offer good only at the Box Office. A Season Ticket or a Season Flex Pass is 15% off the price of four individual tickets purchased separately. A Season Ticket provides one seat to the opening night performance of each of the four plays. The opening night seat can be exchanged for another performance of the play, if the BoxOffice is notified in advance. A Season Flex Pass provides 4 tickets that can be used in any combination throughout the season. The Season Tickets are available through October 12 and Flex Passes are available all season. *All major credit cards are accepted (AMEX, DISC, MC, VISA), UT Rocket Cards are accepted at the CPA Box Office ticket window only. “Orpheus,” written by Jean Cocteau and translated by John Savacool from THE INFERNAL MACHINE AND OTHER PLAYS, copyright ©1963, is presented with permission from New Directions Publishing Corp. Reprinted by permission of New Directions Publishing Corp.
Ryan Behan will visit the University Saturday and Sunday, Oct. 6 and 7, and be the first artist to perform in the fall Dorothy MacKenzie Price Piano Series. 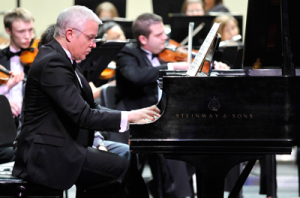 His program will include works by Beethoven, Debussy, Prokofiev and Rachmaninoff. The pianist will present a master class at 10 a.m Saturday and a recital at 3 p.m. Sunday. The free, public events will be held in the Center for Performing Arts Recital Hall. 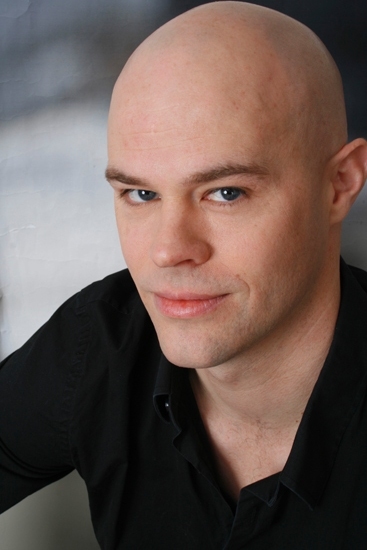 Behan, an adjunct faculty member at Ohio State University, has won acclaim from audiences in Europe and the United States as a soloist and collaborative pianist. He recently presented a solo concert series for the bicentennial celebrations of Liszt, Chopin and Schumann. Winner of the Fischoff National Chamber Music Competition, Behan has served as a collaborative pianist for the Mozarteum International Sommerakademie in Salzburg and the American Institute of Musical Studies in Graz, Austria, He regularly performs with members of the Columbus Symphony, Dayton Philharmonic and Indianapolis Symphony. The College of Visual and Performing Arts’ Top Alumnus for 2012 KEVIN HATCH will present a lecture Thursday, October 4 at 3:15 p.m. in the Haigh Auditorium of the CVA (next to the Toledo Museum of Art) He says he will speak on the unusual, eccentric and exciting places his art history research has taken him. 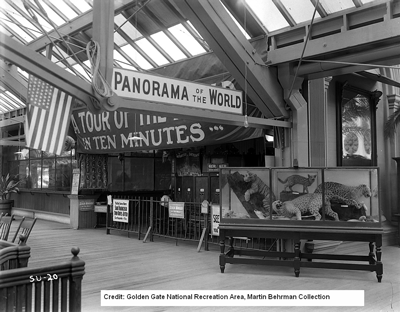 A vintage photograph from the Sutro Museum, a fantastically weird museum on the western edge of Golden Gate Park [which, sadly, burned down in 1966] that played a role in Hatch’s research. 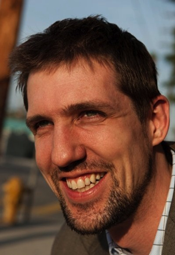 Dr. Hatch is the 2012 Emerging Outstanding Alumnus for the College of Visual and Performing Arts at The University of Toledo College of Visual and Performing Arts. Kevin Hatch grew up in Dearborn, Michigan, and received his BA from the University of Toledo in 1999. He went on to earn an MA from the University of Delaware in 2001 and a PhD from Princeton University in 2008, both in art history. He is Assistant Professor of Art History at Binghamton University. His research has taken him to Berlin, Germany, and Berkeley, California, among other places. In his teaching and research he focuses on art since 1945, with particular attention paid to developments outside major art centers; his book Looking for Bruce Conner, published by MIT Press this past February, examines Bruce Conner, a devilishly clever and maddeningly elusive artist who lived and worked in San Francisco.